Norfolk, Virginia – EOS Surfaces, LLC, a leading surfaces technology manufacturer dedicated to innovation with a strong aesthetic, cost reduction and increased safety, is proud to announce the unveiling of its largest hospital installation at Sentara Leigh Hospital in Norfolk, Virginia. The installation is part of the full “rebuild” of Sentara Leigh, which was completed in April with the opening of the new West Tower. 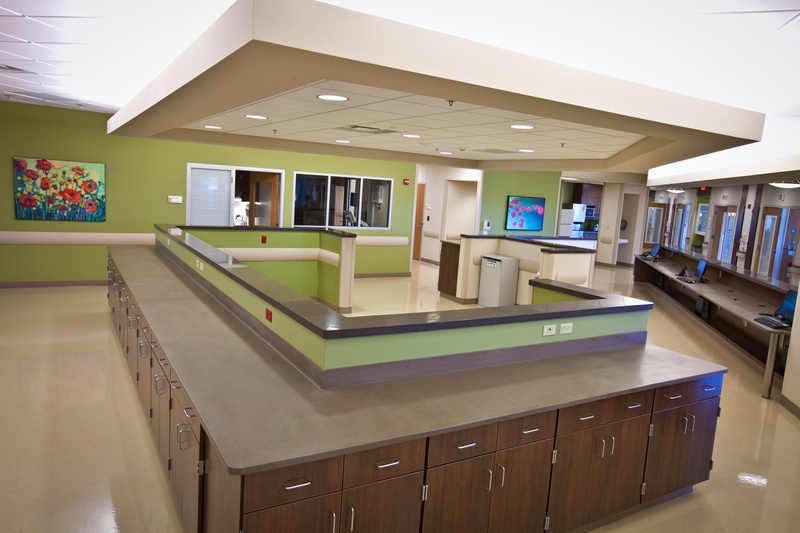 All 250 patient rooms and accompanying work areas are outfitted with EOScu (Cupron Enhanced EOS) copper-infused surfaces, including countertops, over-the-bed tables and bed rails. EOScu is the only synthetic hard surface on the market that is EPA registered for public health claims, actively and continuously killing 99.9% of harmful bacteria* within two hours of exposure, even after recontamination. EOSCU and copper alloys are the subject of a new series on the role of copper in the emerging antimicrobial marketplace. MetalMiner is "a digital multimedia resource for metal-buying organizations," providing educational materials, data analysis, forecasting, and market trends for those interested in metals as an investment. To this end, the coverage of the "Copper Wars" (the name they've given to the growing use of copper's biocidal properties in hospitals in the fight against hospital-acquired infections), provides insight into a potential growing market for copper.